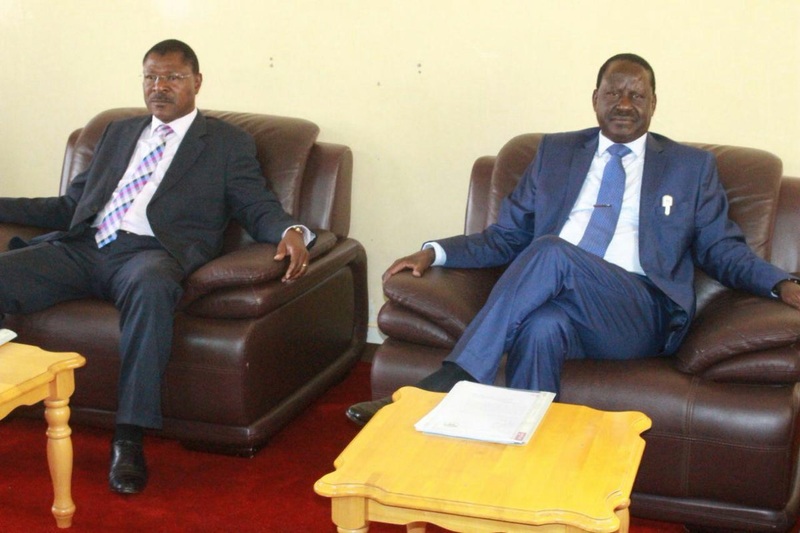 Wednesday August 1, 2018 - Opposition leader, Raila Odinga, has accused Bungoma Senator Moses Wetangula of making the reconciliation between them difficult. This follows their bitter fallout after Raila joined the Jubilee Government following the famous handshake with President Uhuru Kenyatta on March 9th - a move that never went down well with Wetangula. The Ford Kenya leader became the first casualty of that handshake after he was removed from the Senate leadership by ODM on grounds that he did not support Uhuru-Raila handshake. Speaking yesterday during an interview with Citizen TV, Raila noted that he has unsuccessfully attempted to reach out to National Super Alliance (NASA) co-principal, Moses Wetang'ula, to mend their severed ties but he has not been picking his phone calls. Nonetheless, Raila said he was committed to reconcile with Wetang'ula who accused him of ousting him from the Senate Minority Leader's position despite the Ford Kenya leader snubbing him and his phone calls. “We are determined to work together with all our leaders, shed light on issues we discussed with the President before the handshake and develop our country," Raila said.